ROME (CNS) — The president of France and the archbishop of Paris have vowed to rebuild Notre Dame Cathedral after a devastating fire, continuing what a professor of architecture described as the natural lifecycle of a historic building. Steven W. Semes, a professor and director of graduate studies in the Historic Preservation Program at the University of Notre Dame in Indiana, said he was as shocked and pained as everyone watching on television as the building burned April 15. “Like all historic monuments,” he said, Notre Dame Cathedral is “the result of hundreds and hundreds of years of development” with an initial idea, a long and labor-intensive construction process, design changes, additions, demolitions and remodeling over and over again as fashions and usages change. “Hope springs from seeing monuments that have endured,” even though they almost never remain unchanged, Semes said. 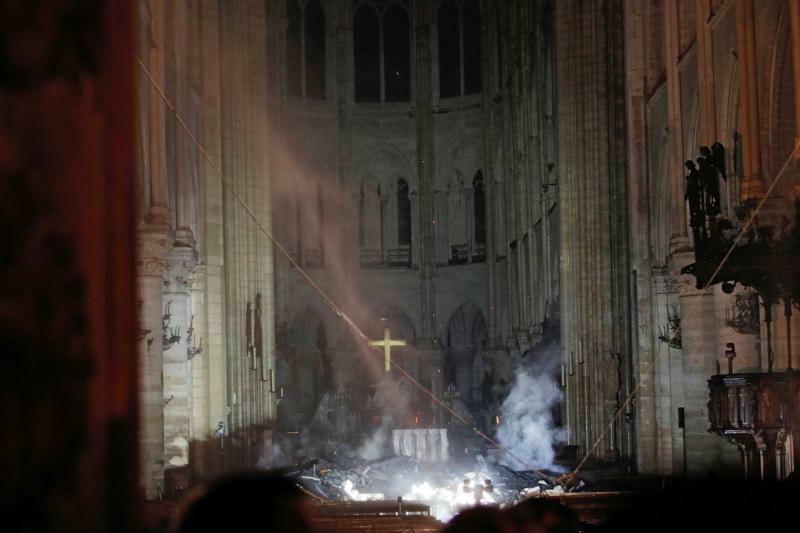 “Obviously, a big fire has a big impact,” he said, but even for nonbelievers, there is a sensitivity to the fact that Notre Dame Cathedral was not just a treasure of Gothic architecture. In Philadelphia, Archbishop Charles J. Chaput said in a statement April 15 that the “ongoing destruction being wrought by flames is doubly sorrowful as it comes during the holiest week of the Christian calendar. “I ask the clergy, religious, and lay faithful of the Archdiocese of Philadelphia to join me in prayer to the Blessed Mother for the protection of fire personnel and first responders in Paris working to battle the blaze and provide for the safety of the community. We also pray that our Lord will bring comfort and peace to Archbishop Michael Aupetit as well as our brothers and sisters in the Archdiocese of Paris, and the people of France at this time. And, the cardinal said, Notre Dame is not just a living sign of religiosity, but is “the heart, the beating heart” of Paris.